The “Connemarapony Vereinigung e.V.” (CPV e.V.) is making “Hoof Wall Separation Disease (HWSD)” a priority: as of 2018 all Connemara pony foals in Germany will require genetic testing for HWSD before registration. This hereditary disease in Connemara ponies causes the hoof wall to separate from the rest of the hoof. Severity can vary greatly, from minor, unremarkable hoof wall changes through to very painful symptoms that may even lead to euthanasia. The disease is autosomal recessive, thus clinically normal animals can carry the disease. Genetic testing identifies carrier animals. If carriers and affected animals are only bred to genetically normal animals, the disease can be gradually eliminated from the breed without losing genetic diversity. Foals born from 2018 onwards require genetic testing if either parent has one (carrier) or two (affected) copies of the HWSD mutation, or if the parents have not been tested. If both parents have tested normal, the foal does not require a separate test, as they can be assigned “Clear by Parentage”. Breeders are therefore encouraged to test their breeding stock, which can reduce the overall number of tests they must run. The CPV e.V. has stipulated that all ponies must have their identities verified by a microchip and/or DNA identity test, in order for HWSD test results to be valid. Samples must be collected by a veterinarian or studbook representative. This means that samples that were tested in the past without identity verification must be retested for entry into the Studbook. CAG is offering reduced prices to breeding club or “Connemarapony Vereinigung e.V.” members for HWSD testing, including a “combo price” for both HWSD and DNA identity testing. 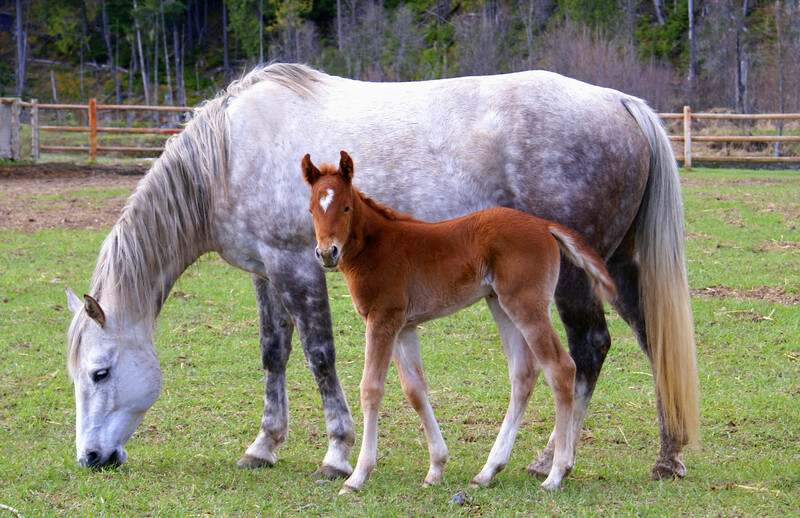 The DNA identity test is also valid for foal parentage testing. This link will take you to our HWSD-test page with the info brochure (provided by the CPV) and special order forms for CPV members for this testing. previous post: CAG has launched the „HorseHealth and Biobank Initiative (HHBI)“!